Pentax and Park Cameras are holding shooting day at Infinity Studios in East Sussex for anyone that wants to get their hands on the new Pentax 645D medium format camera, as well as the company's two new DSLR models - the K-5 and K-r.
Pentax and Park Cameras are holding shooting day at Infinity Studios in East Sussex for anyone that wants to get their hands on the new Pentax 645D medium format camera, as well as the company’s two new DSLR models – the K-5 and K-r. The day consists of two sessions combining the opportunity to try your hand at car photography and portraiture. The sessions are free, but places are limited. See below for more details. Park Cameras has teamed up with Pentax and ASA Infinity Studio, one of the UK?s leading automotive studio facilities, to offer an exclusive photographic event, showcasing the awe-inspiring capabilities of the much anticipated Pentax 645D medium-format camera. Take advantage of this unique photographic opportunity, taking place on Friday 26th November 2010 at ASA Infinity Studios? exclusive country estate location, based in Chiddingly, East Sussex, where you will have the chance to meet members of the Pentax team as well as ?test driving? 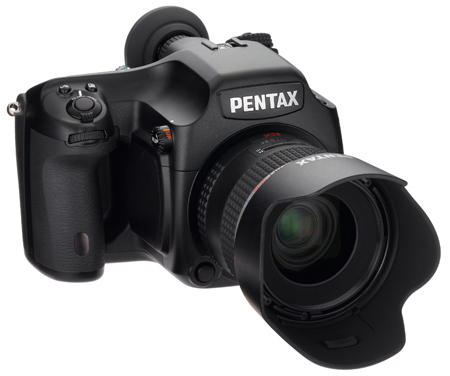 the Pentax 645D, seeing at first-hand why the photographic world is so excited about this product. In addition, there will be the chance to check out the very latest DSLRs across Pentax?s rapidly expanding imaging range, including the recently announced Pentax K-5 and K-r.
With two prestige car marques and a fashion model on hand as well as the chance to have your best image from the shoot printed out on a professional imaging printer, courtesy of Epson who will also be present throughout the day, this exclusive photographic event is one not to be missed. Places, whilst free of charge, are strictly limited to 40, split equally between two sessions, running between 10am ? 1pm and 2pm ? 5pm. To book your place and for more details please click on the following link – www.parkcameras.com/Pentax-645D-Launch ? or contact a member of the Park Cameras team on 01444 23 70 70.